I made these last year in an art class. It was wonderful fun. 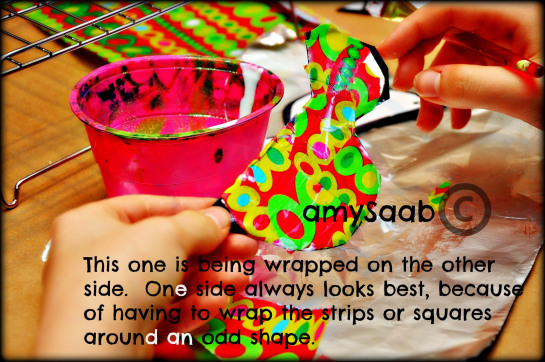 Sometimes you find wrapping paper that you want to use forever…why not make a Christmas ornament with it? 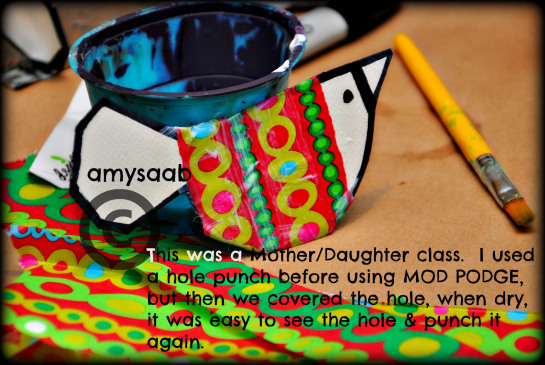 The bird that is mostly glittered with MOD PODGED wings & tail was the idea of the Mom who signed up for the class. 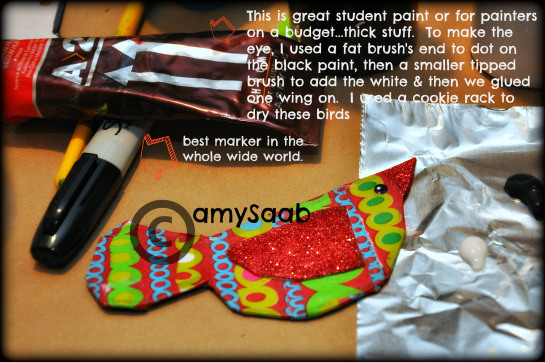 I thought her idea was brilliant & it ended up that I liked her idea more then my own. She also painted inside the black lines because they couldn’t be drawn over once glittered. 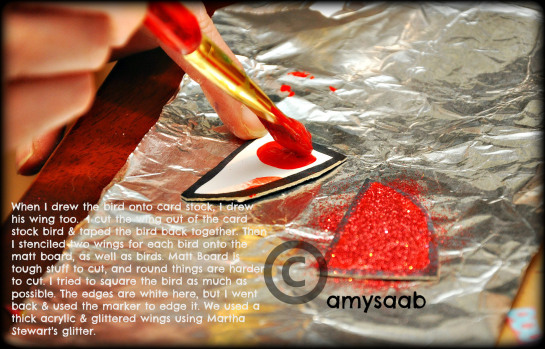 I love learning new things from people who make art with me! 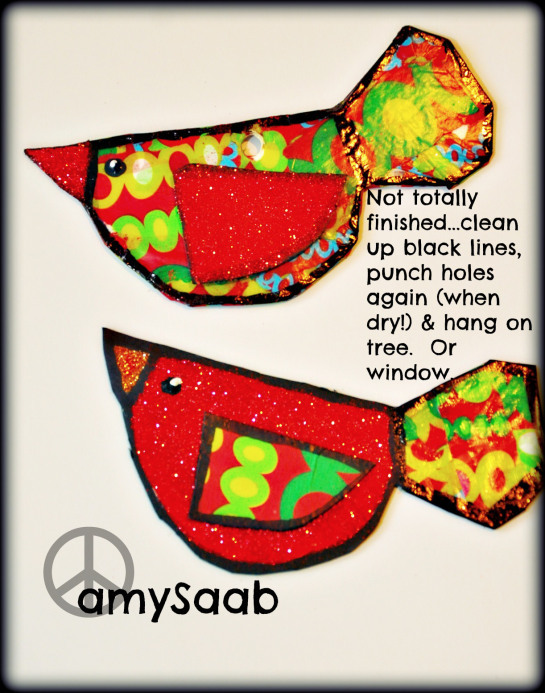 This idea can be used to make Chanukah decorations or any bird for hanging in a window all year long. 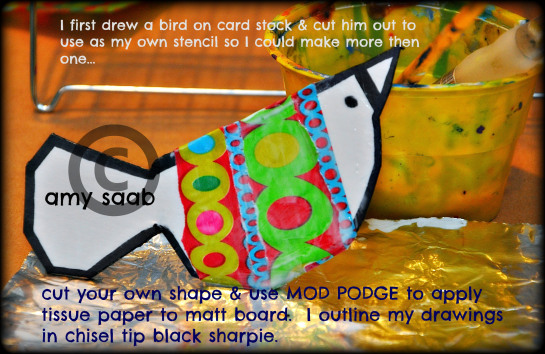 MOD PODGEing any paper is wonderful fun.